Founded in 1948, University of Ibadan (U.I) is Nigeria’s oldest university with over 33,000 students and 150,000 alumni in 160 countries worldwide. It is now a designated post-graduate university training thousands to meet the needs of the labor market. 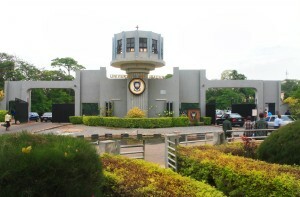 U.I is a federally-controlled public university located in the heart of the largest city in West Africa – Ibadan, Oyo state. U.I was recently ranked as the best university in Nigeria (2015) by the National Universities Commission (NUC). affiliated with the University College Hospital (UCH) which was established in response to the need for training medical personnel and other healthcare professionals in the country. It is considered one of the leading hospitals in the country amidst other government owned hospitals. The institution is also affiliated with the Global Health Center at Northwestern University; Council for the Regulation of Engineering in Nigeria, (COREN); National Medical Association (NMA); Nigerian Bar Association (NBA); and the Association of Commonwealth Universities (ACU). University of Ibadan has benefitted from a number of grants from various institutions and foundations across the World. In 2010, the University won the MacArthur Foundation Fanton Challenge of $250,000 with support from the NHEF. Also, various institutions some of which include Oxford University, Partnership for Higher Education in Africa and the University of Chicago, Global Health Research have contributed to the success of programs in the University. U.I has a great number of notable Nigerians in its Alumni, some of which include Internationally recognized Nobel Laureate, Wole Soyinka; Former Commonwealth Secretary-General, Emeka Anyaoku; Nigerian Ambassador to UNESCO, Michael Omolewa; Global Health Directors at the University of Chicago and founding members of the NHEF, Drs. Sola and Funmi Olopade; Nigerian Novelist, Chinua Achebe; and the popular American Civil Rights Movement figure, writer and political advisor, James Meredith. You must be a student in your penultimate year attending one of our Partner Universities. Students enrolled in their penultimate year are third year undergraduates of a 4-year degree program or fourth year undergraduates of a 5-year degree program. NHEF will verify enrollment of each applicant with the University Registrar.